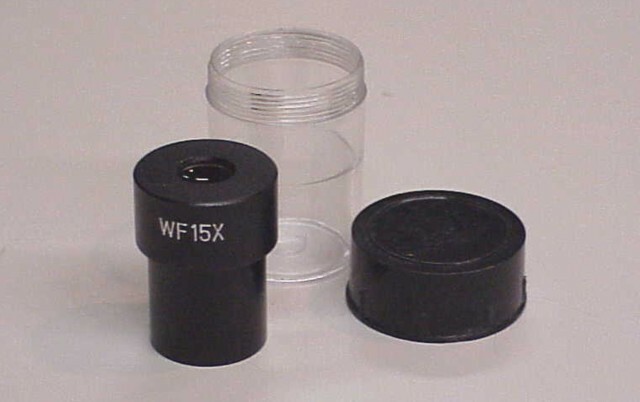 Standard microscope eyepiece size. Coated optics. Wide field. 15X. Unused in plastic container with threaded cap.